As part of the airport experience, lounges can provide a great escape from the noisy chaos that can occur in an airport. 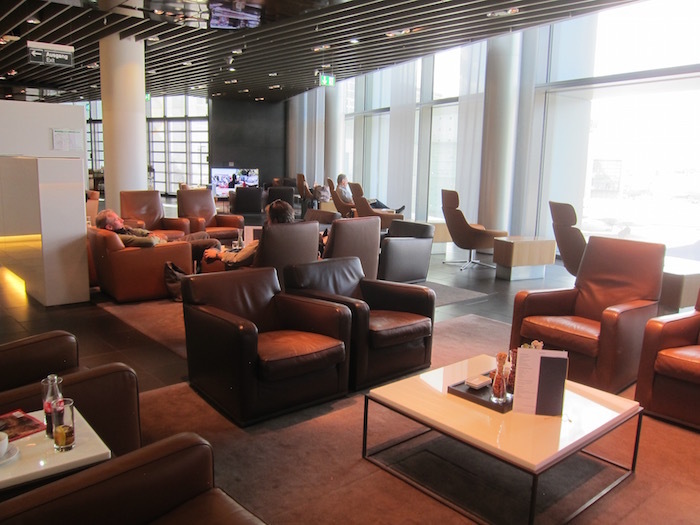 There are numerous lounges throughout the world and each have their features and things that are lacking. 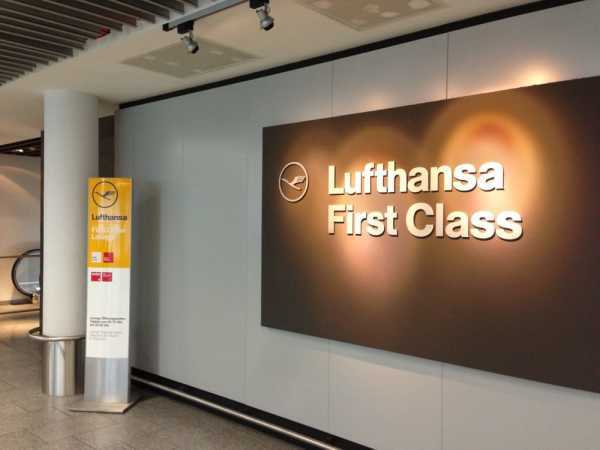 The Lufthansa First Class lounge in Frankfurt airport is the first of our lounge guides. We're going to tell you how you get in and what you can expect inside. Does it have good quality food? What are the showers like, if there are any? Is there a quiet space where you can relax or work in privacy? These are some of the topics that will be covered in this guide and others in the future. 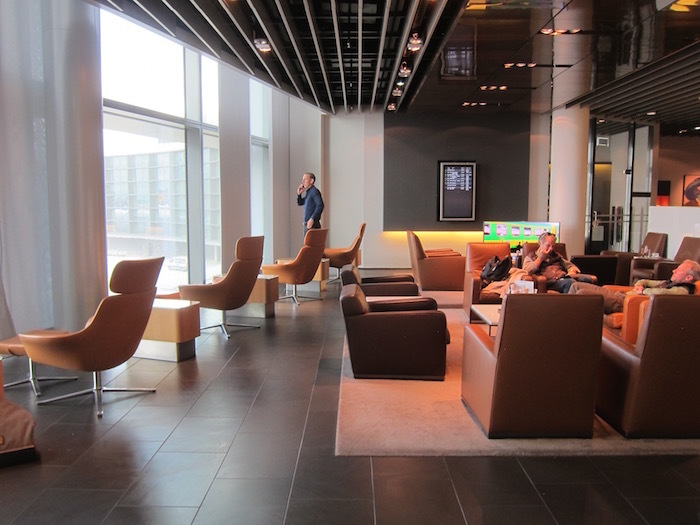 Lufthansa has two First Class lounges at Frankfurt. One serves Schengen and the other, non-Schengen passengers. The lounge servicing travelers flying to Schengen countries is located in Terminal 1, departure area A, next to gate A13. The other one for passengers heading out of the Schengen zone is over next gate B22, also in Terminal 1. Lufthansa also has the First Class Terminal, but this article will focus on the non-Schengen lounge. To enjoy the benefits of the First Class lounge, you must be in possession of a First Class ticket for either a LH or Swiss flight departing on the same day. Or, if you're lucky enough to be a HON circle member, the door will be open for you. Leather sofas, sporting Lufthansa's somewhat plain color scheme of browns, creams and reds make up the majority of the seats. There are bar stools at the bar, 2-seater couches and sofas placed in groups and some seats on their own. 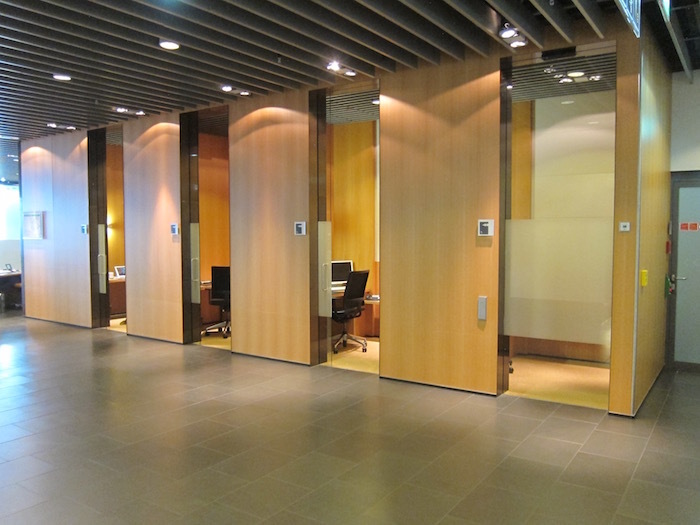 Four office cubicles are located to the right of the entryway for the traveler needing a bit of work space. They each have a desk, office chair, phone and computer. Wi-Fi is free and is part of the general Frankfurt Airport free Wi-Fi. The overall design is modern, with clean lighting and attractive, functional furniture. Lufthansa has not left their lounge date too much, instead making sure the space is as trendy and comfortable as can be. Do & Co supply the food and this lounge is considered among the best for their sensational food offerings. An excellent selection of hot and cold platters are available, including many German favorites such as pretzels and cold meats. Tasty and healthy salads are plentiful, as is the many types of bread as you'd expect in this part of the world. A buffet is available as well as an a la carte menu. Satiating your thirst is also not a problem here, unless you're easily overwhelmed by the amount of choice. 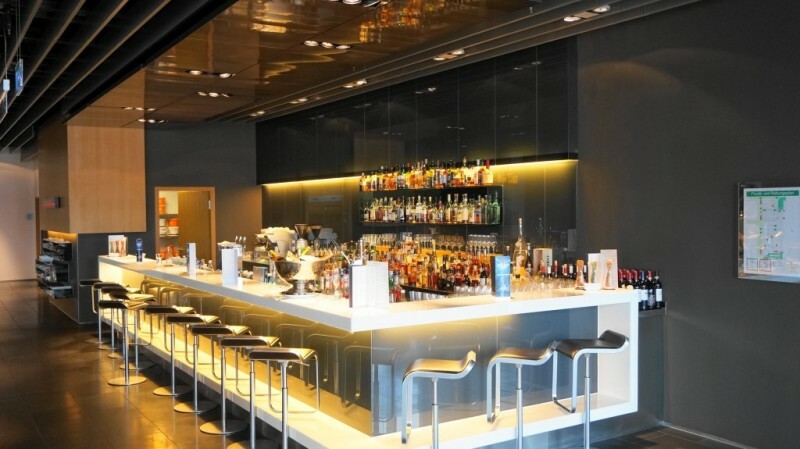 The Lufthansa First Class lounge has a fully stocked bar complete with top notch liquor that includes a number of expensive scotch and cognac. Naturally, plenty of beer and wine, soft drinks and juices are present too. Attendants often walk around, so you can order drinks from them without having to go to the bar. For the smokers, there is a smoking lounge located inside the main lounge and there is even a selection of cigars available for purchase. The bathrooms and showers are located near the entrance on the left. Inside you will find individual showers and bathrooms. They're more of an actual bathroom complete with a bath and showers and plenty of private space. 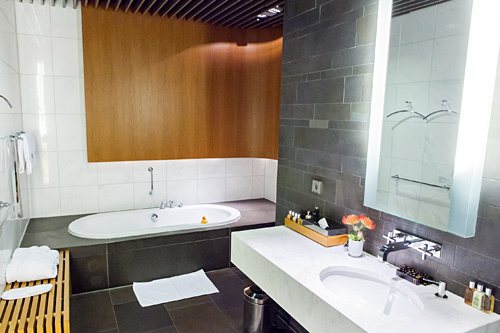 Some of the baths even have a spa function and the quality amenities and towels are supplied and changed between each use. 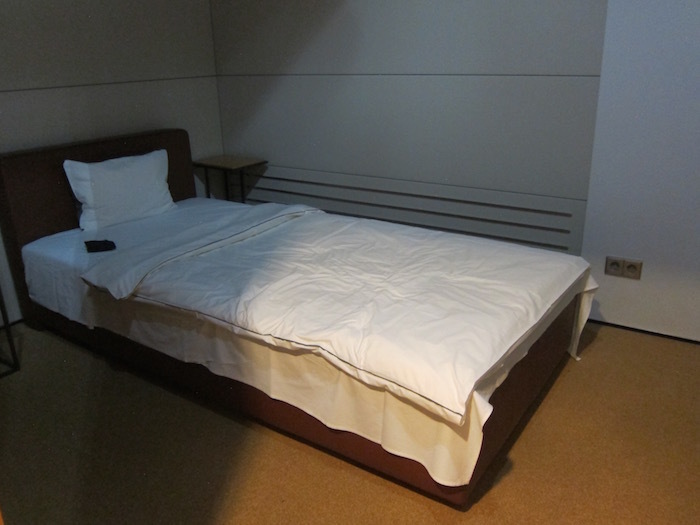 In this section are also the sleeping areas which have an actual bed in a quiet, private room. This is a great way to sleep off a few hours on a lengthy layover. You best grab one quick though if you plan to have a nap during your time in the lounge, as they're only available on a first-come, first-serve basis. And of course, a trip to a Lufthansa First Class Lounge wouldn't be complete without a signature LH rubber duck, which you'll find either in the bathrooms or on request from a staff member. 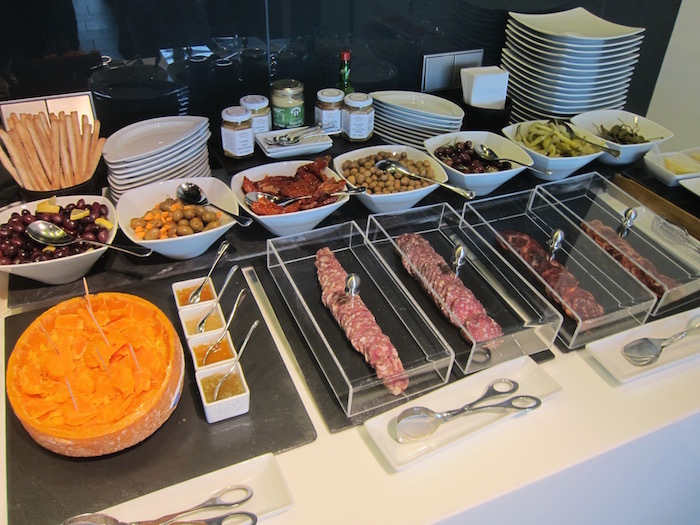 The Lufthansa First Class lounge is an excellent offering from Lufthansa for their premium guests. It offers sensational food, alcohol, quiet areas, bathroom amenities and plenty of working spaces. If your flight arrives or departs on a remote bay, they will additionally drive you to the aircraft directly in, of course, a fine German automobile. If you're spending a bit more time in Frankfurt, it may well be worth taking advantage of the First Class Terminal, an entire terminal dedicated to Lufthansa's first class customers. But we will cover this in a future review. For a 360° virtual tour of the Lufthansa First Class lounge, click the link here .